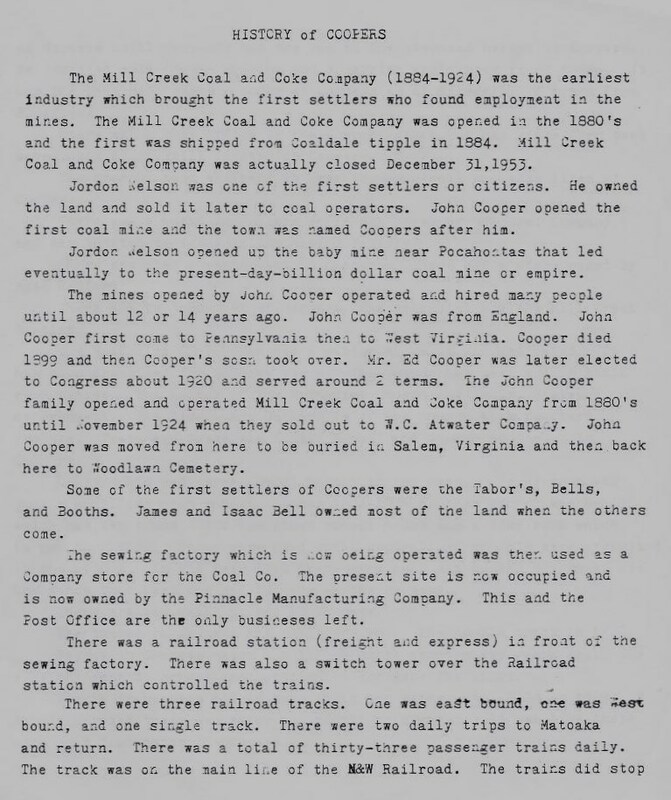 The above history was written by Ruth Buckner December 10, 1963 as an 11-A History Class assignment at Bramwell High School, Bramwell, WV. This was a two family home. 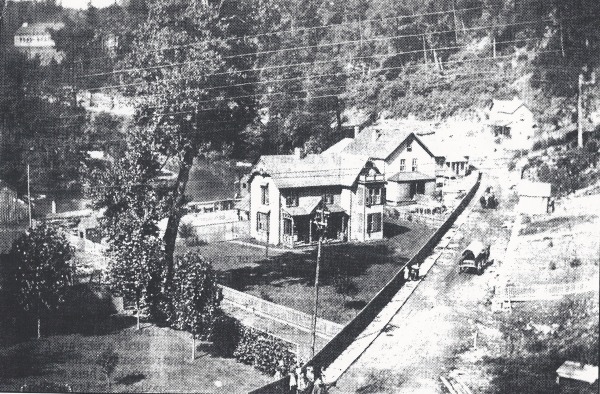 Mr Dexter Frazier McMullin, his wife Stella and daughters, Alene and JoAn lived here in the 1930s and 1940s. 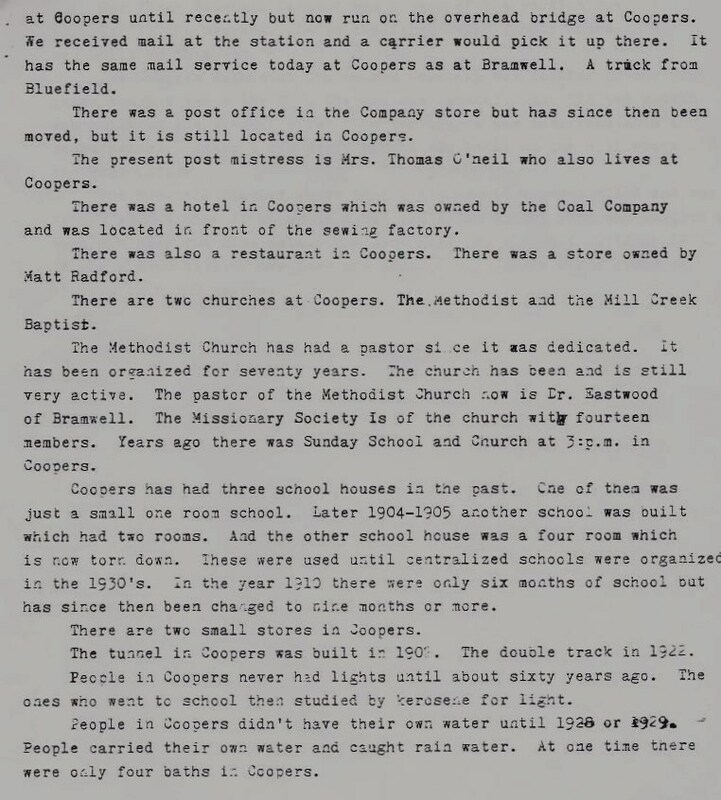 Mr McMullin was a clerk at the Coopers Company Store. 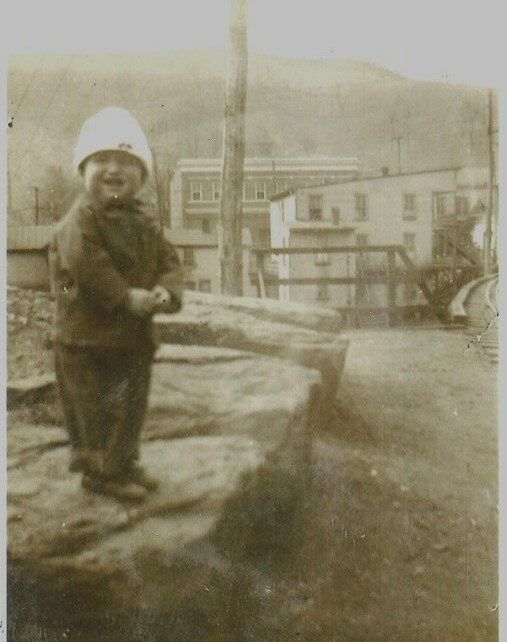 During World War 2 Mr McMullin was a guard at the east end of the old Coaldale Tunnel. 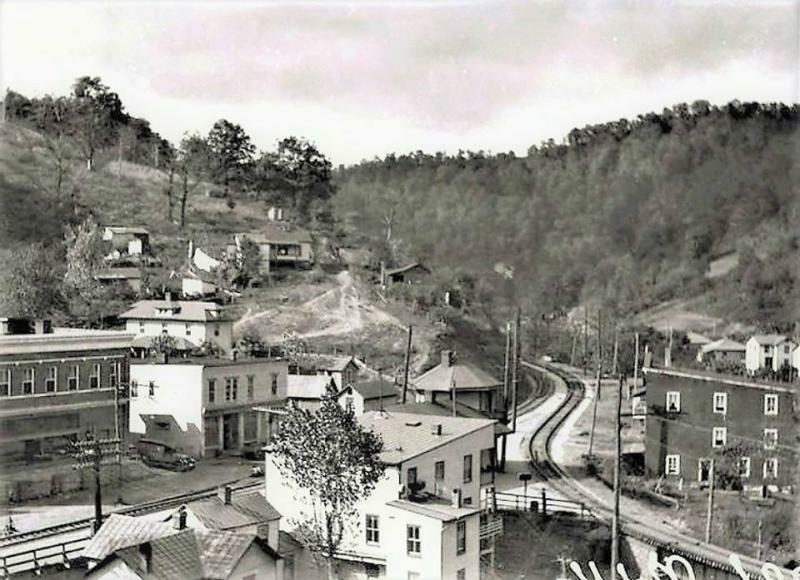 He went to work at the Pocahontas Company Store and later opened his own store at Brushfork, WV. 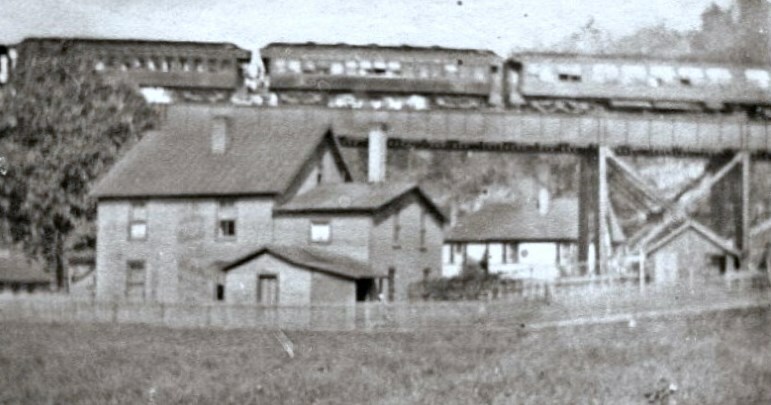 It was known as the D. F. McMullin Store. 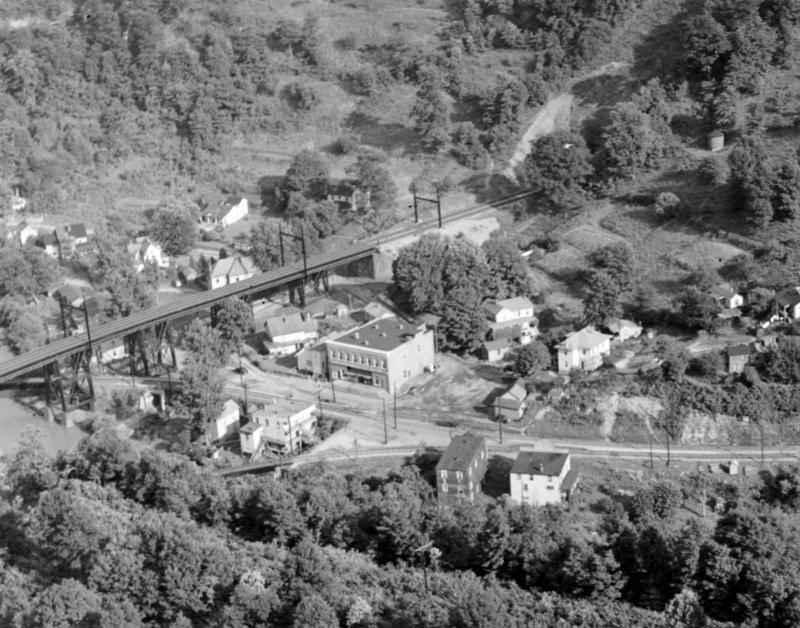 Home was demolished in 1947 as part of the new Coopers Bridge project. 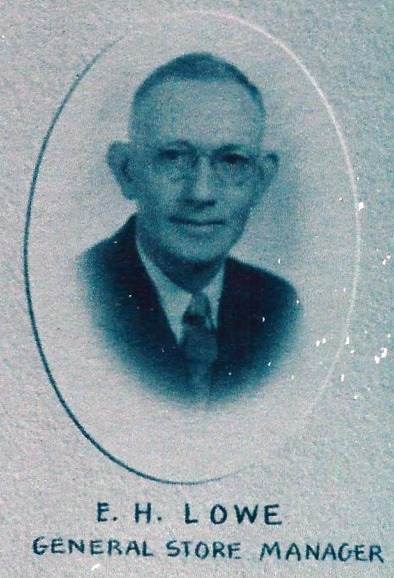 Mr McMullin passed May 1973. Stella passed March 1978. 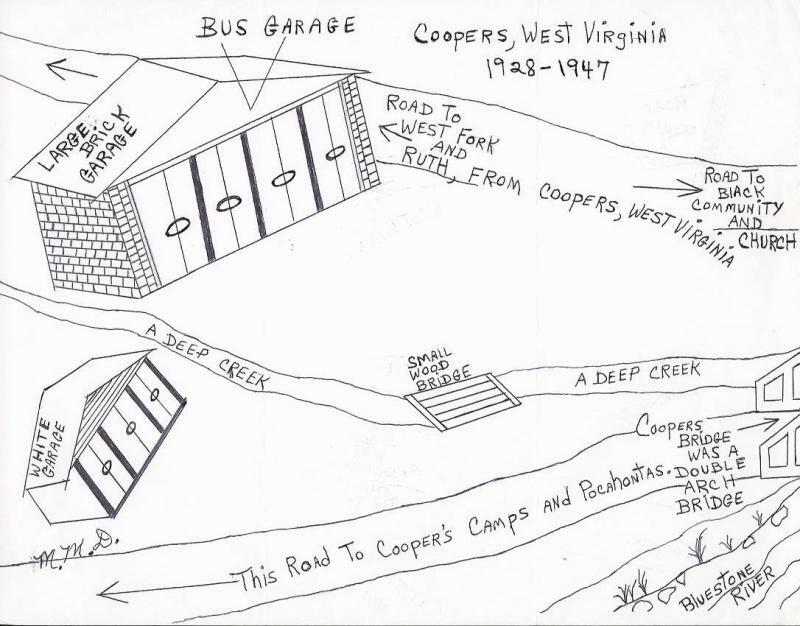 Both are interred in Grandview Memory Gardens Cemetery, Bluefield, VA.
COOPERS POST OFFICE BEGAN SERVICE JUNE 1884. 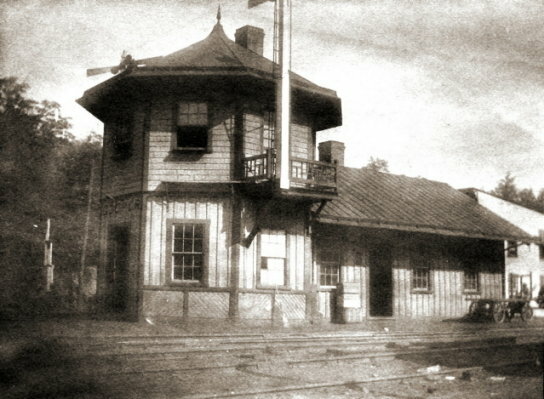 FIRST POSTMASTER WAS WILLIAM F. WOOD. 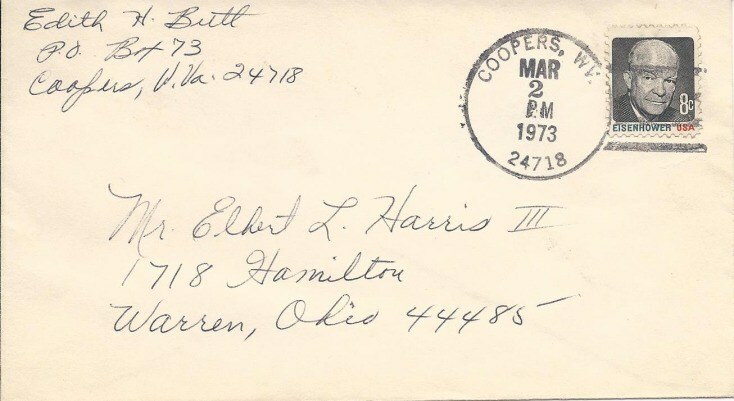 LAST DAY OF OPERATION WAS MARCH 2, 1973 AS INDICATED BY POSTMARK ON ABOVE ENVELOPE.